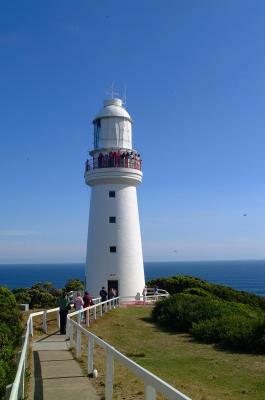 Lock in a great price for Cape Otway Lightstation – rated 8.8 by recent guests! 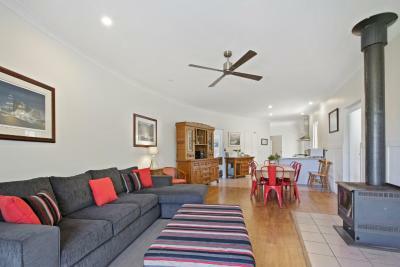 A beautiful location close to the cliffs at the Cape Otway Lighthouse. 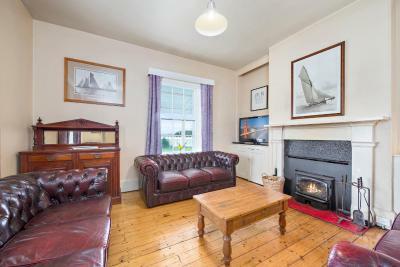 Warm log fire, tasteful furniture and a well-maintained, clean space. We stayed in the Lightkeepers B&B accomm and it was quite spacious for the two of us and will comfortably house 4-6 people. Location is stunning, we had the lighthouse in our window view and the starry sky at night was spectacular as well as sunrise. We also came across a few wallabies onsite and a few native birds. Instructions are clear - the location is quite remote so make sure to bring your own food if coming after the cafe closes and be careful driving at dusk or in the dark, we had a couple of rabbits dash in front of our car at night. Loved the lodge. Very clean, spacious. I really loved the kitchen and all the utensils!. All we had to do was only to buy the raw materials. All the staff are very friendly and helpful. We really felt welcome there. And the cafe serves very nice hot chocolate that our kids loved so much. Couscous was wonderful. And of course we just fell deeply in love with the surrounding. We saw many kangaroos, koalas, many kinds of birds. 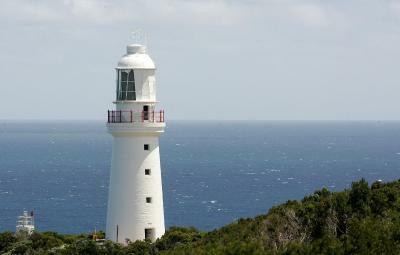 A great place to educate our children about what Australia is all about :) And the lighthouse is just majestic.. 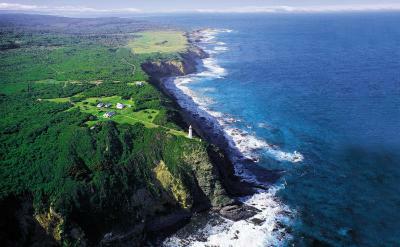 Staying at the remote, isolated Otway Lighthouse is not just another ordinary travel accommodation. It's a venture into History, an encounter with lives of people of a bygone era. The accommodations are in the antique quarters of the lightkeepers and their familes. During the day, the grounds of the lighthouse swarm with tourists, but once the gates at closed at 5:00 pm, the few time-travelers who occupy those quarters are ALONE with the winds and the grasses. There's a cafe serving drinks and a few meals during the day, but at night one must plan his/her tucker just as a rough hiker would. The cafe can prepare meals in advance, on special order, to be stashed in the rooms. Otherwise, you will eat only what you carried from the outside world. We shared the whole compound and the sea below it with just one couple, who stayed out of sight. The loneliness was exhilarating. The location is beautiful and having the whole area to yourself after it closes is pretty special. The staff was very friendly, especially the staff in the cafe -- they were really great. Loved color and decor in the studio. Loved also the lighthouse b&b. Breakfast was delicious. Tula was fabulous. really a great location besides the otway lightstation, and the breakfast is good. I liked the remoteness and quietness of the property. 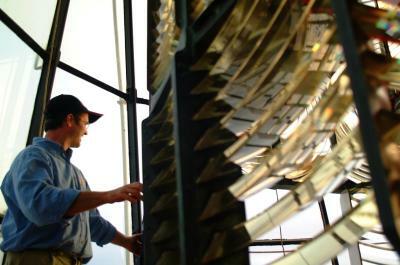 It is very atmospheric and a unique experience, staying at such a historic Lightstation on the ‘shipwreck’ coast. Cape Otway Lightstation This rating is a reflection of how the property compares to the industry standard when it comes to price, facilities and services available. It's based on a self-evaluation by the property. Use this rating to help choose your stay! 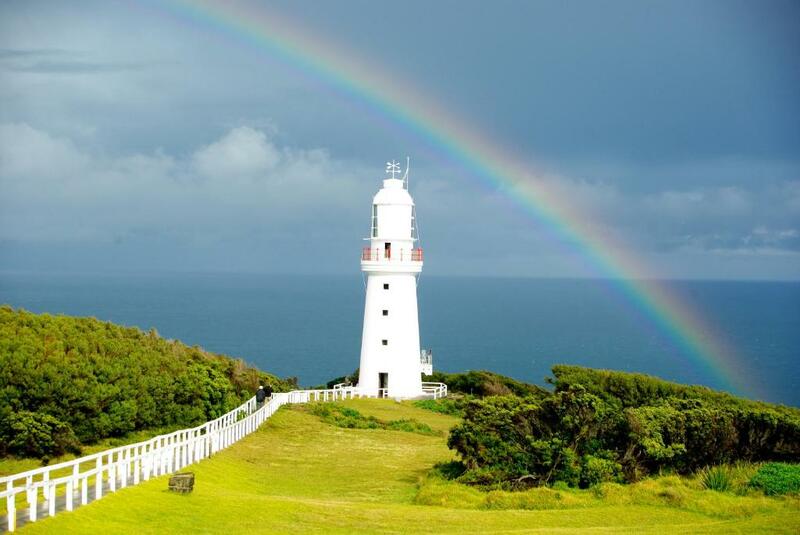 Located on an 1848 historical site, just off the Great Ocean Roa and 38 minutes' drive from Apollo Bay, Cape Otway Lightstation features stunning views of the Southern Ocean. Cape Otway Lightstation offers a variety of accommodations options, including the Lightkeepter's B&B suites or the fully self-contained Lighthouse Lodge. 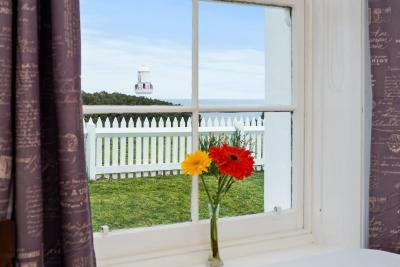 The Lightstation Studio has stunning views of the light station from your room. The houses have have fully equipped kitchens and wood fireplaces, while the B&B suites and the studio each have a bar fridge, microwave, kettle, toaster, crockery and cutlery. For your convenience, evening meals and lunch packs can be requests at an additional charge. There is a fully licensed cafe available from 09:00-17:00. 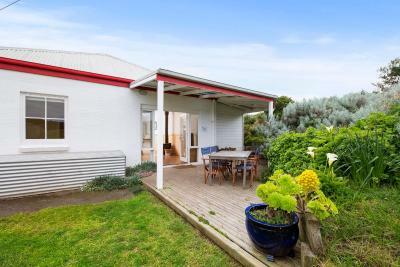 This property also has one of the top-rated locations in Cape Otway! Guests are happier about it compared to other properties in the area. 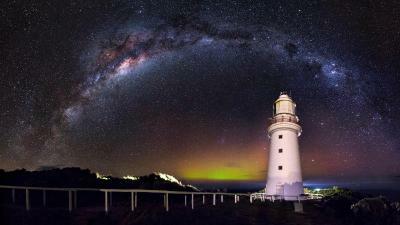 When would you like to stay at Cape Otway Lightstation? 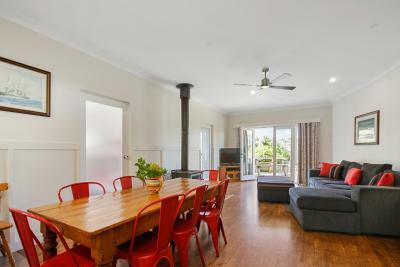 This house features a patio offering views over the southern ocean, a kitchenette and a lounge area offering a sofa and a TV with a DVD player. All bedrooms offer a heater. All towels and bed linen are supplied. Includes a selection of DVDs, games and books. 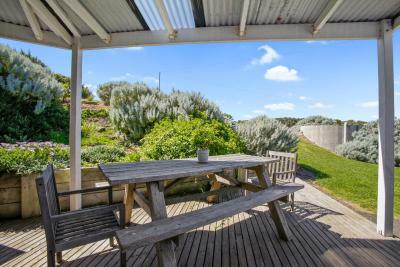 This house features a patio offering views over the southern ocean, a fully equipped kitchen and a large wood-fired stove. The lounge area offers a sofa and a TV with a DVD player. All bedrooms offer a heater. All towels and bed linen are supplied. Includes a selection of DVDs, games and books. Please note that the price is based on 2 guests. Maximum occupancy is 10 (see Hotel Policies). 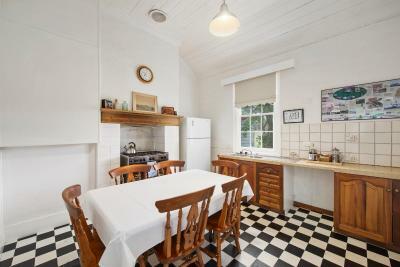 This renovated house offers a patio, a fully equipped kitchen and a large wood-fired stove. The lounge area offers a sofa and a TV with a DVD player. All bedrooms offer a heater. This studio has a microwave, sofa and private entrance. House Rules Cape Otway Lightstation takes special requests – add in the next step! Up to three children under 16 years are charged AUD 35 per night when using existing beds. Cape Otway Lightstation accepts these cards and reserves the right to temporarily hold an amount prior to arrival. Please note that Cape Otway Lightstation does not accept payments with American Express credit cards. Please inform Cape Otway Lightstation of your expected arrival time in advance. You can use the Special Requests box when booking, or contact the property directly using the contact details in your confirmation. 1. Entertainment system needed batteries to enable full functionality. 2. We thought we would have a view if the coast from our cabin. 1. Very friendly and helpful staff. 2. Extremely clean accommodation. There is no kitchenette or kitchen sink in the 2 Bedroom suite of the Main Lightkeepers house. So you have to get kettle/drinking water out of the bathroom sink and can’t wash cups or anything. 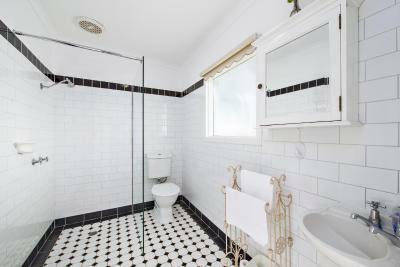 The Bathroom should also have a shower screen or at least a rail + curtain so shower water doesn’t go all over the floor. A bit overpriced for the price (c$310 a night), and much further from local attractions than we were told when calling to make inquiries ( at least an hour and half drive from 12 Apostles and an hour from Otway Fly Ziplinimg). Forgot to pack my hairdryer and there wasn't one in the property. Didn't check with reception so they may have provided one if I'd remembered to ask. Stunning location. 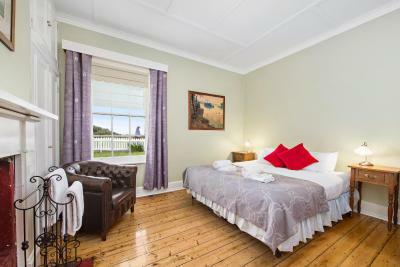 Comfortable accommodation in a historic building. 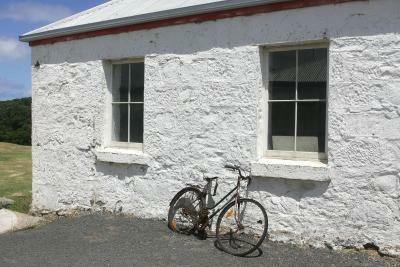 The Cape Otway Lighthouse and surrounding buildings were very interesting and I learnt a lot about their history. What an amazing location and experience. Quaint, comfortable accomodation and lovely breakfast. 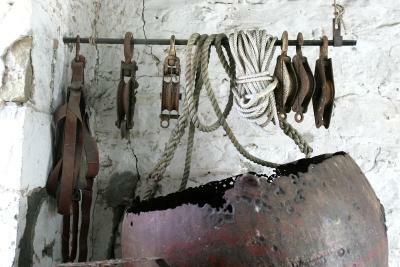 Perhaps just some maintenance issues inside the cottage . Faulty door handles , loose cupboard hinges and the bed could do with some lock stay wheels. Also we found the main room to be a little cluttered and evidence of rodent activity. These are only small things - our booking was for 2 nights, but the continental breakfast supplies in the studio really were only for one morning. Would have been easy to supply a bit more milk for example, which would have been a nice touch, plus more than one banana and one orange between two people. Continental breakfast supplies to last for the duration of booking would have been appreciated, and could easily be done. 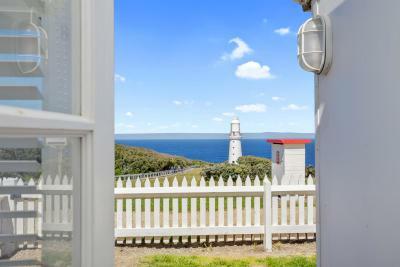 Incredible private location with views over historic lighthouse and Bass Strait. 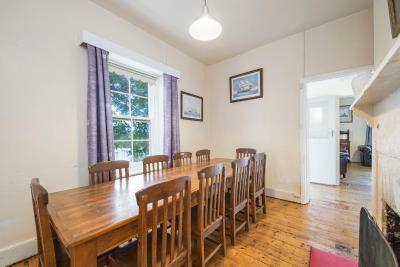 Cosy, comfortable and well-appointed studio accommodation with nice design, sympathetic to location and setting. Difficulty washing up breakfast dishes. 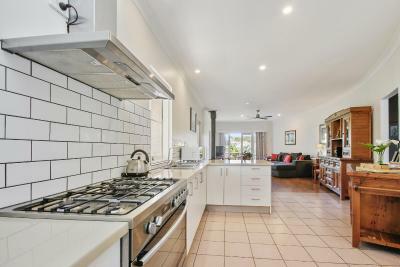 The property was comfortable and beautifully furnished, the view was breathtaking and the bushland around was phenomenal. breakfast was excellent. an outside table to eat and enjoy the view would be the only improvement of our experience. Denise in the lighthouse was very friendly and informative and had an obvious passion for her job. They had clearly had an issue with flies and there were dead flies everywhere inside the house.